The number of competing franchise concepts has been increasing for years. A special focus seems to be on innovative concepts regarding nutrition and interior design, so their popularity increases rapidly. As the competitors never sleep, constant modernization and further development of the franchise concept becomes an important factor. In addition to the uniform appearance and the furnishing of store design, the franchisor should supports its partners in organizational and operational processes. Part of this support and nuturing a longterm partnership, is to choose an appropriate cash system. This ensures a smooth sales process and generates absolute transparency for both sides. In addition complementary peripheral equipment should support the software requirements. What are the main factors for franchise? The combination of online shop and “offline” retail stores becomes more and more important in in retail industry. Starting with in-store pick-up of items purchased online, over allowing items purchased online to be returned at a physical store, through to allowing customers to place orders online while at a physical store. 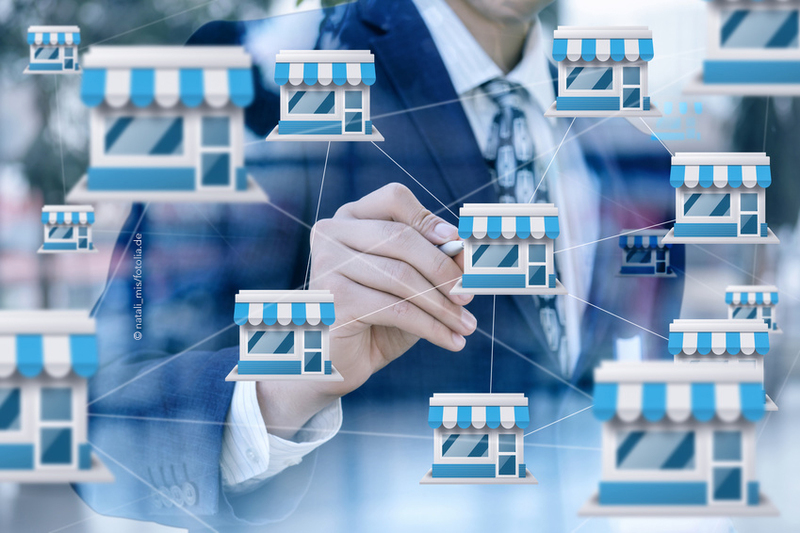 Therefore, a modern franchise POS solution should be able to connect to online stores and a central ERP system for shared stocks. You as a franchisor should use the legal data collected to analyze the buying behavior of your customers, best in combination with loyalty programs. The central control and the correct distribution of the price across all locations worldwide is one of the most important functionalities. Each professional franchisor requires this functions within a POS software based on the given organisation structure. Unfortunately, in practice, it has been shown that many cash providers still have problems distributing the correct prices or pricelists resprectively for a given time period. The franchisee partners must be able to quickly and easily add items to its local assortment and be able to combine existing articles to a special price set (for example: menu offers, combo box prices). With one mouseclick, the affected POS should be automatically informed and updated, so the the correct button appear in the quick selection and product bundles are scannable for the cashiers.